Looking for the ideal couple’s getaway? Why not try Disney? 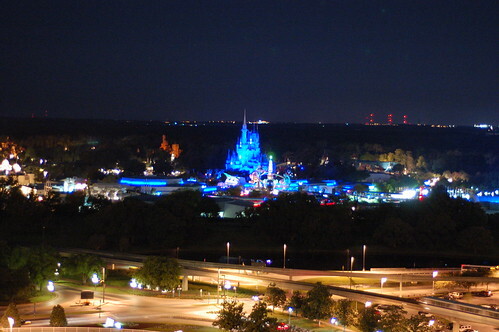 Over 520,000 people visit the Disney parks on a daily basis, coming from all over the world. With over 6000 attractions that include thrill rides, interactive rides and shows located in all four parks, you will always have something to do. Choosing a place to eat might be the hardest decision you make on your visit, with 139 different places to dine within the parks and surrounding areas. Don’t forget about relaxing at one of the many spas or playing some golf. Let’s start your journey by traveling the world at Epcot. Enjoy a margarita in Mexico or treat yourself to some sweets in Italy, the choice is entirely yours. Don’t forget about the other parks either, they have so much to offer. From taking a roller coaster ride with Aerosmith at Disney’s Hollywood Studios to enjoying the Electrical Parade at the Magic Kingdom. If you are an animal lover, make sure to stop at Animal Kingdom to experience rare animals or take a ride on Expedition Everest. There are so many things to enjoy while visiting the parks, but it does not have to end there. If it is fine dining that you are looking for don’t worry, Downtown Disney has it all. Whether you are celebrating a special occasion or just want to enjoy a unique dining experience, it is all here. There is such variety when it comes to selecting a restaurant from the Rain Forrest Café to Portobello, the options are endless. After dinner, make sure to stop at Ghirardelli to indulge in a sweet treat. That’s not all that Downtown Disney has to offer. Walk that dinner off, by browsing the shops where you can find the perfect gift for that special someone or even the kids back home. Next stop on your itinerary is relaxation and recreation. Whether it is enjoying the sun, pampering yourself with a massage or playing a round of golf, it is all here. Spend some quality time with your significant other by scheduling a relaxing couple’s massage. If you have more of a competitive side, why not play a round of golf? All of these options are offered at Disney Resorts in Orlando to make your vacation complete. When picking a resort to stay at, make sure to choose the best one based on what you’re planning on doing. This will save you time and make it more convenient for your stay. Disney can now be your perfect couple’s getaway. Enjoying the theme parks, eating at unique restaurants or just relaxing, these can all be accomplished during your stay. Now, when visiting Disney the first thoughts that should come to your mind are going to be traveling the world, fine dining and relaxation.